How's the summer treating you all. I am fed up of all sweat and sun. Anyways to bring some cheer to you all I have a post about a hobby which has turned into a business venture. It's about Mini Tutu Fashion which designs and creates tutu gowns. As the name suggests the brand creates Tutu gowns, frocks, skirts for small girls. They also create and design themed tutu gowns. 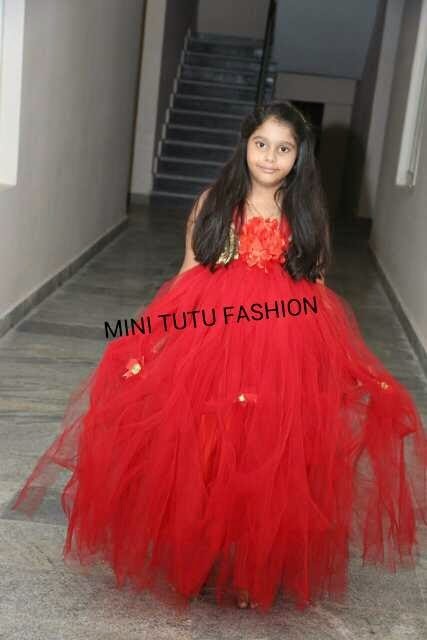 Srividya Shetty is the lady behind Mini Tutu Fashion. Srividya Shetty is basically from Mangalore and a mom of a 4 year old little girl. It has been one year that she took this hobby as a business. And now she has a dream to start a kids boutique. By qualifications Srividya is not into designing or fashion in itself. Her qualification was fully into Commerce has done Masters in Commerce with specialization in Finance! After becoming a mother, she was planning to do something which is unique or something related to kids without going out from home, because she thought she should give a happy time to her daughter. Even her husband supported her thought. Surprisingly when she was pregnant she learnt kids tutu gowns of different styles and patterns from a US friend. After becoming a mother to a princess, she designed the first tutu frock for her daughter when she was 1. Later on she started designed and creating for cousins and neighbours. Then she thought why not take this a step ahead and take this up as a profession. 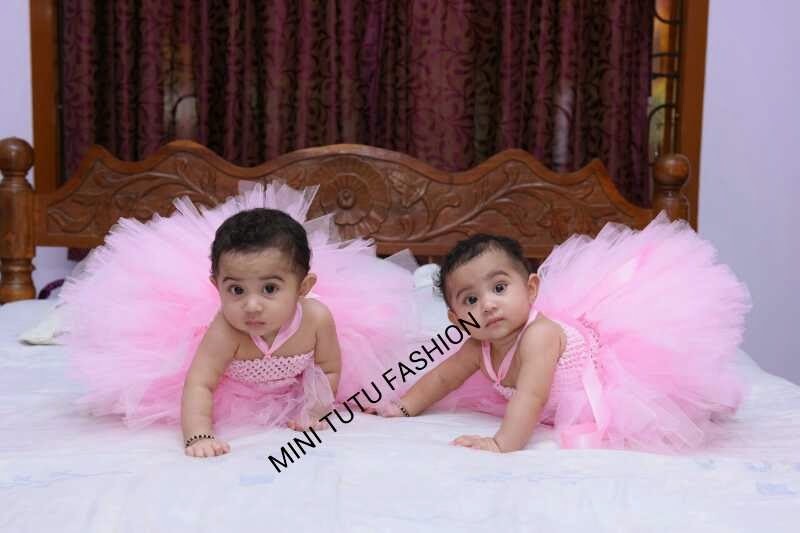 And so here you go with a page called MINI TUTU FASHION which customizes tutu gown, frock, skirts, accessories. They even sell imported kids party wear. Below you can view some of the Tutu gowns by Mini Tutu Fashion. Every month Srividya shares pattern picture on her Facbook page and through Whatsapp with clients who directly contact her. Clients if are interested they contact her directly through call and Whatsapp. Clients give measurements or else Srividya goes with the standard chart and designs in 6-9 days maximum, depending on the design they choose. Some clients book 2-3 months early. Once she gets the bookings for month, she updates about the closure of bookings a week before only. 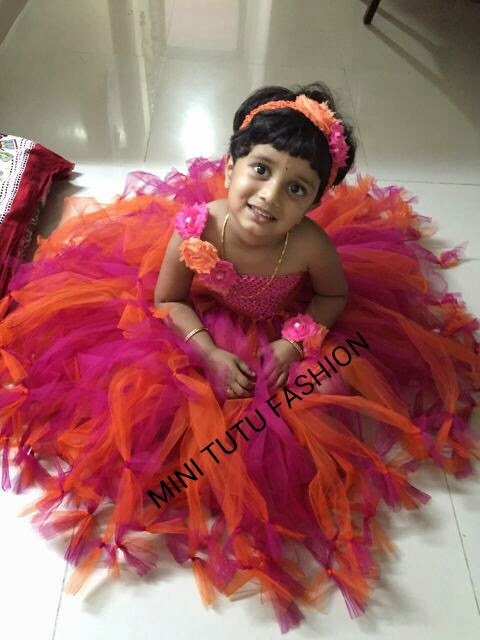 Mini Tutu Fashion frocks are delivered through courier all over India. Some of her clients are also from other countries. So here we are with fashionable designs and dresses for your little princess to make her birthday special.